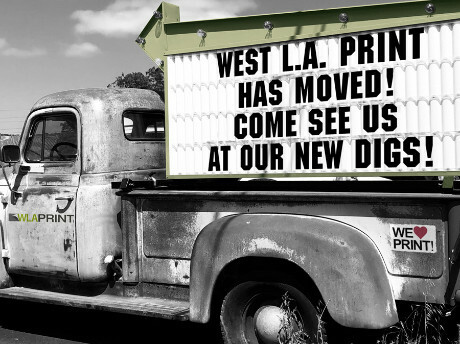 West L.A. Print is an independent, family-owned business serving the Westside Los Angeles area and Santa Monica since 1986. Our main services are offset and digital printing, large-format printing (posters, banners and displays), copying, and rubber stamps, along with all the bindery and finishing services. We are an Adobe Authorized Service Provider, a QuarkAlliance Authorized Output Provider, and a MS Publisher Service Provider. Good service should be no-nonsense. We hope you find our site free of fluff and easy to use. To start a new project, click on the Customer Service Center tab. For design and file transfer guidance, click on the Resources and Support tab. Want to talk to someone? Just call us at (310) 473-5620. A real person will answer! We're ready to help!